Melanie comes to Audax with a portfolio of high-end interiors for private residences. 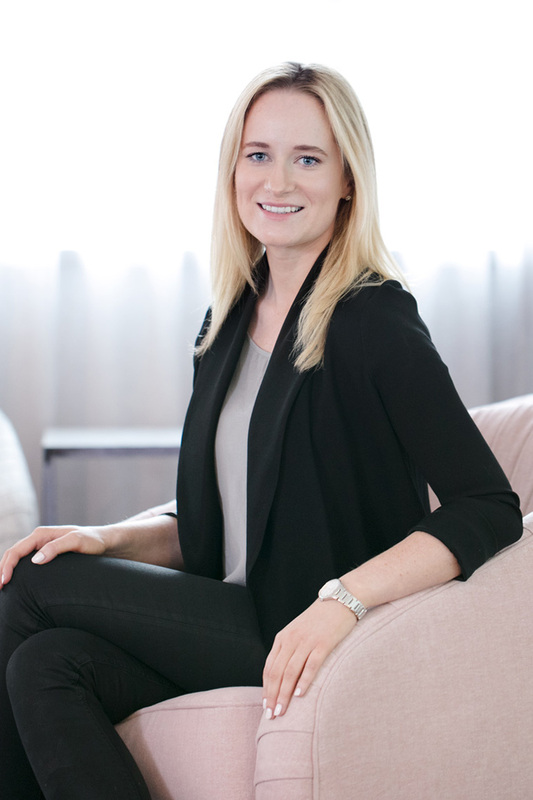 She is a well-rounded interior designer and can tackle any stage of a project, from space planning to furniture detailing. Various condo residences in downtown Toronto, high-end private residences in Muskoka, Collingwood, Rosedale, Forest Hill and Palm Beach. Melanie is currently working on the conversion of a 100-year-old heritage school in Newmarket into a multi-unit residence. Many of my favourite buildings are in Italy, particularly in Florence. I remember the first time I saw the Duomo, it took my breath away. The craftsmanship, materiality and sheer manpower it took to construct, in a time period prior to modern technologies, is extremely impressive. The intricacies of the building are so great that every time I look at it, I discover something new. Now that is great design! I love mixing a variety of materials together, for example juxtaposing raw finishes with plush textures. Combining different materials adds a greater sense of depth to a space and provides a more interesting sensory experience for the user.